Ar Industries are looking bulk inquiries from Delhi, Delhi NCR, East Delhi, South Delhi, Gurgaon, Haryana, Karnal, Ambala, Panipat, Rohtak, Hisar, ballabhgarh, imt manesar, kotputli, sonepat, kundali, bahadurgarh, greater noida, gaziabad, yamunanagar, Panipat, ambala, jammu & Kashmir, Raipur, mohali, baddi, Rajasthan, Badmer, krishangarh, Bikaner, Kota, Udaipur, Bhilwara, Alwar, Jaipur, Jodhpur, Ajmer, Bawal, Uttar Pradesh, UP, Agra, Meerut, Aligarh, Allahabad, Banaras, Mathura, Jhansi, Ghaziabad, Noida, Bareilly, Moradabad, Saharanpur, Kanpur, sikandrabad, Punjab, Chandigarh, Jalandhar, Amritsar, Ludhiana, Bathinda, Pathankot, Patiala, Hoshiarpur, Himachal Pradesh, HP, Shimla, Dharamshala, Uttrakhand, Dehradun, Haridwar, Roorkee, Rudrapur, Rishikesh, Nainital, Udham Singh Nagar, Gwalior, Ahmedabad, Hyderabad, Lucknow, Kanpur, Varanasi, Lucknow, Kanpur, Varanasi, MP, Indore, Bhopal, Jabalpur, Gwalior, Ujjain, Sagar, Ratlam, Satna, Dewas, Gujrat, Karnataka, Tamilnadu, Coimbatore, Madurai, Salem, Trichy, Tiruppur, Erode, Vellore, Kerela, Kochi, Bihar, Patna, Gaya, Bhagalpur, Muzaffarpur, Jharkhand, Jamshedpur, Dhanbad, Ranchi, Assam, Guwahati, Agartala, Shillong, Maharashtra, Mumbai, Pune, Nagpur, Chennai, Kolkata, Bangaluru, Jammu, Srinagar, J&K, Chhattisgarh, Raipur, Bhilai, Bilaspur, Korba, and all over India. No. Of Compartments 4, 2, 3, 6-10. 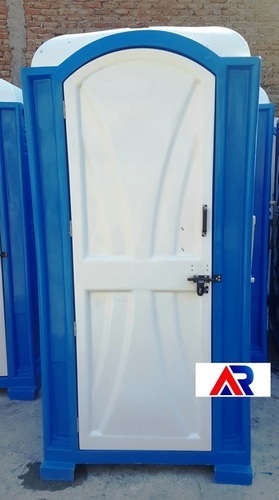 We are a prominent organization engaged in offering superior quality Mobile Toilet. This toilet is designed and manufactured by our industry experts using top notch quality raw materials in conformity with international standards. Besides, these are available as per client's specifications. We are a trustyworthy organization offering a wide a gamut of Cuboidal Design Portable Toilet. Production Capacity: 500 per month as per customer demands. No. Of Compartments 4 to10 seater. 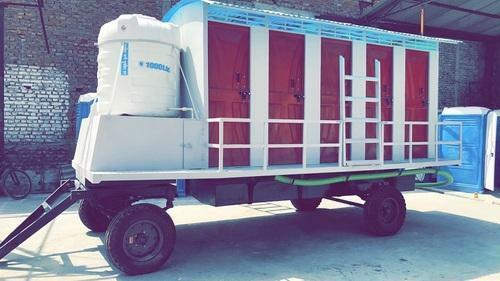 AR Industries is leading manufacturer and Supplier of Mobile Toilet Van. All the above features and amenities are optional and can be availed as per buyer's demand. 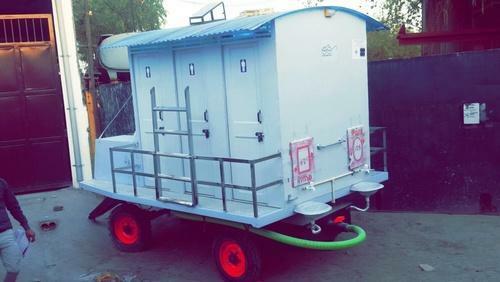 Experience a new class of Mobile Toilets' hospitality with perfect engineering model. 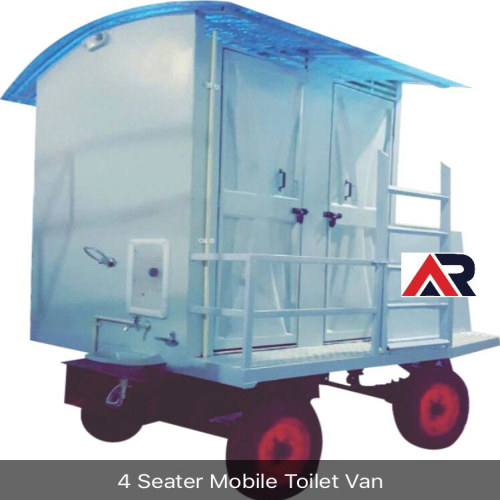 We are a trustyworthy organization offering a wide a gamut of 4 Seater Mobile Toilet Van. 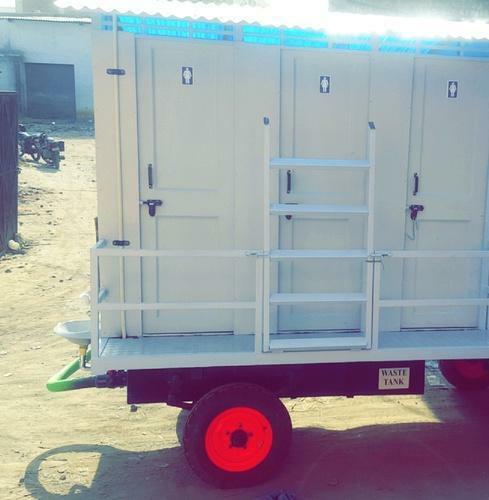 Looking for “Mobile Toilet Manufacturer India”?